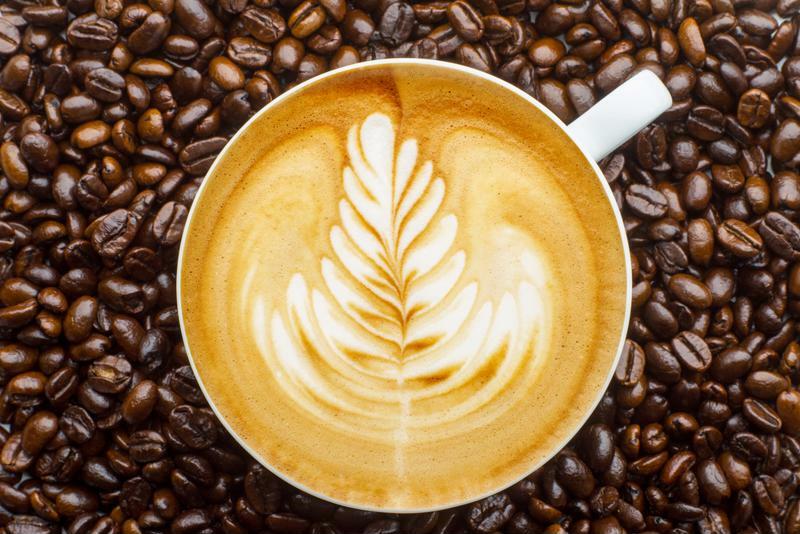 If you've never considered brewing coffee to be an art form, you may want to reconsider. 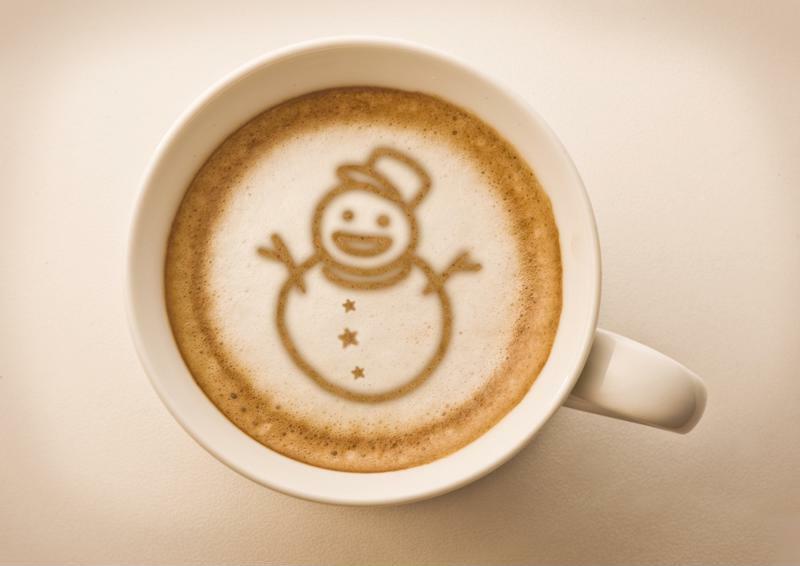 The froth of a latte can be manipulated into many fun designs. Why stick to the standard pour when you can jazz it up for each of your guests this season? With a device like the Mr. Coffee® Café Barista, it's never been easier to create the perfect foundation for some of the most artistic holiday drinks. Try some of these designs - and remember, practice makes perfect, so drink up! Start this work of art with three small drops of froth that get progressively larger in size. With a toothpick, extend a fine line from the middle circle to create the snowman's arm, and repeat on the opposite side. Then, all you need is some chocolate syrup to finalize your masterpiece. Use a few small drops for buttons and eyes, and top with a hat for a very frothy snowman. 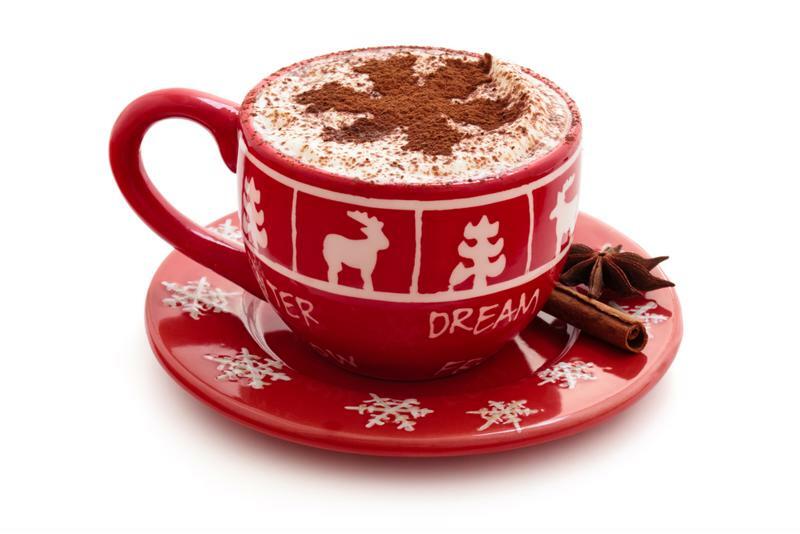 Challenge your guests to a snowflake-making contest with their lattes. Slowly pour the froth on top of hot coffee in the shape of an asterisk, and use a toothpick to extend and design each branch as desired. Clean the tip of the toothpick, dip in the coffee, and use it to add darker stripes and dots on your snowflake. The trick to creating a Santa hat design in your latte is all in the details. Slowly pour froth in the shape of a small triangle and trace with chocolate syrup. Then, add a mini marshmallow to the top of the hat so it resembles a pom-pom, and arrange a few along the base. Not a fan of marshmallows with your coffee? Swap them with shredded coconut instead.